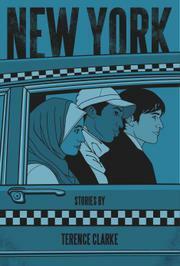 A collection of short stories explores New York City across time. Clarke (The Notorious Dream of Jesús Lázaro, 2015, etc.) returns with a volume of tales set in the Big Apple. The city is the primary connection between these stories, though many of them share a similar protagonist: middle-aged or perhaps a bit older and from a relatively well-to-do background. These guys have been working in corporate America for years as admen or attorneys. Their families leave them money and invest in their startups. “Everyone in L.A.,” the first tale in the collection, sets the tone well. A struggling novelist named Pat rides the subway and invents elaborate fictions from the scraps of conversation he overhears. Clarke writes convincing and authentic dialogue, capturing the youthful slang readers might hear on the train, but the scenario itself feels somewhat clichéd. The same can be said of the next story, “The High Line,” in which a wealthy corporate lawyer overcomes the death of his wife by helping a homeless man on the subway and seeing how the other half lives. Tales like these feel like new, if not fresh, takes on classic stories of New York by Salinger or Capote—fine company, all in all. “My Beautiful Francisco,” in particular, with its Spence School girls and polo matches in the Hamptons, is a charming homage to Salinger’s Upper East Side. But Clarke is most successful when he tackles more modern New York characters. “Thank You, Pierre-Auguste” is an appealing little love story set in gentrified Williamsburg, in which a successful sculptor falls in love with a divorcée-turned-baker and embraces new artistic media. Though a bit saccharine, it’s a timeless romance set in a fiercely contemporary situation. Similarly, “The Three-Cornered Hat” takes a 21st-century figure as its protagonist—a startup founder—and sends him on an awkward evening of tango dancing in the Meatpacking District. While Clarke may not break new ground in the vast genre of New York literature, his enjoyable collection often captures an authentic charm and should please any avid reader of stories of the city. A sweet and well-paced series of urban vignettes.